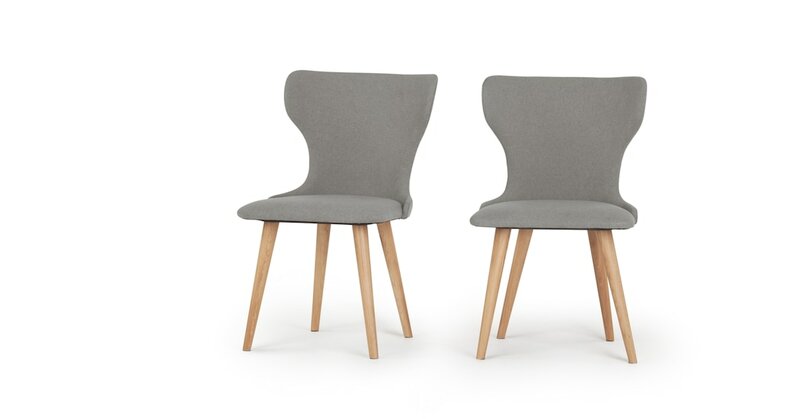 Taking inspiration from the clean lines associated with Scandinavian design, our Bjorn dining chairs will make a sleek and timeless addition to your home. With its curved high back and contemporary crossed legs, Bjorg’s sophisticated silhouette makes it a modern classic. The generous cushioned upholstery makes our Bjorn chairs suitable for longer sittings. You can even use them as occasional chairs in the bedroom or living room.